The South African chicken industry is well positioned to make an almost immediate and cost effective contribution to the job creation, investment and economic growth that President Ramaphosa has made his national priorities. In his 2019 State of the Nation Address, the president once again emphasised the need for job creation to boost economic growth and reduce South Africa’s horrific unemployment levels. He highlighted a number of government initiatives aimed at attracting investment, stimulating economic activity and creating jobs. The chicken industry offers an immediate path to attain these objectives quickly and fairly inexpensively. Moreover, the industry is capable of providing jobs in a number of categories President Ramaphosa touched on – industry expansion, agricultural development, support for black farmers, export growth, import substitution and the “Buy South Africa” campaign. The potential is significant. 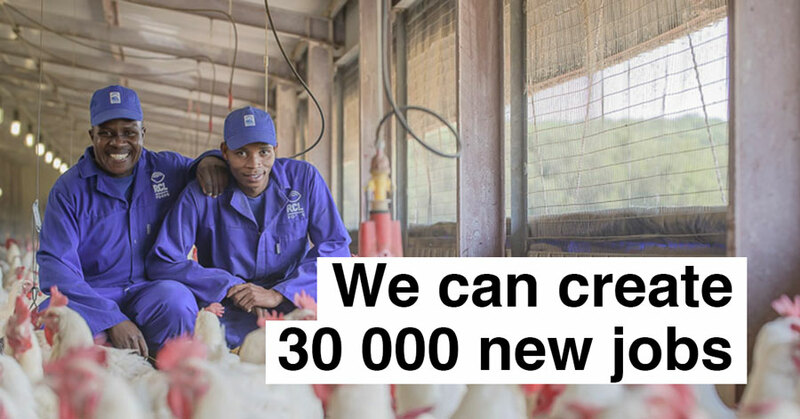 The SA Poultry Association estimated earlier this year that it could create 30 000 jobs within its ranks very quickly if the right support measures are put into place; measures that include stemming the flood of imports that has been eroding local growth potential. The importance and strategic position of the poultry industry shouldn’t be underestimated. Not only is it the largest component of South Africa’s agricultural sector, it also supports several others , including the maize industry. It is a significant employer and is key to the country’s food security. Over the last few years demand for chicken has soared, and in any other economy that would spell growth and expansion for the producers providing for that need, all along the value chain. 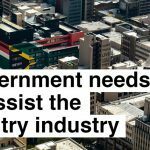 Instead, as a result of regulatory failings and other issues, this new demand is being fed by imports that do nothing for the SA economy, creating no rural jobs and requiring no South African grain as feed. In this unbalanced scenario we have seen imports burgeoning while local producers across all these related industries have to start limiting their own potential. The good news is that this looming disaster can be reversed rapidly by curbing imports, and that, without a doubt, is the right thing to do: to level the playing field in the name of fair trade. Dumping is predatory, aimed at gaining market share at the expense of the local industry. And what is worrying is that it is succeeding, despite the fact that South African producers are efficient and very competitive. As has been seen in countries such as Ghana and Cameroon, where dumping wiped out the local chicken industries, South African producers have no chance when they are forced to compete against imports which are either dumped below the cost of production, or come from countries whose agricultural industry enjoys government subsidies. The SA Poultry Association has applied for additional tariffs to give local producers the protection they need to invest and grow. 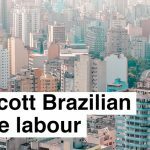 One of the principal targets of this application is Brazil, which has set its focus on South Africa as other markets have closed their doors to them. Brazil has steadily increased its volumes and now dominates imports of the popular bone-in portions, mainly chicken legs and thighs. The local industry is reeling. Industry growth following tariff protection would meet many of President Ramaphosa’s requirements, including reducing imports and increasing local consumption. Local producers are confident that they could fully supply local demand, so that the imports that have taken over as much as a third of the South African market can be reduced to reasonable levels. At zero cost to the government, this would immediately create thousands of local jobs, many of them in poverty-stricken rural areas. More small farmers will be able to enter the market, and we would see the re-entry of many black farmers who have been driven out of business by cheap imports. The industry programme that supports the development of black contract growers will be able to ramp up as the demand for local chicken allows production to expand. Jobs will also be created if the government steps up its focus on chicken for Mr Ramaphosa’s “Buy South African” campaign. Government departments and state-owned enterprises have been ordered to buy only local chicken, but it is not clear whether they (or their catering contractors) are enforcing this instruction. Making sure this happens is essential for the expansion of local jobs. There is further potential for job creation if government were to promote investment in local production of mechanically deboned meat (MDM), the paste used for processed meats such as polony, salami and sausages. Some 200 000 tonnes of MDM is imported every year, mostly from Brazil. President Ramaphosa also said he wants more agricultural exports, including poultry. One hopes that this means government will prioritise the official health inspections required by many territories. Without the required health certificates, South African exports are currently meeting closed doors in many potential markets. What is certain is that co-operation between government and South Africa’s biggest agricultural industry has huge potential to create jobs, which would spur investment and economic growth. Poultry should be a priority in government’s jobs drive – 30 000 jobs await.